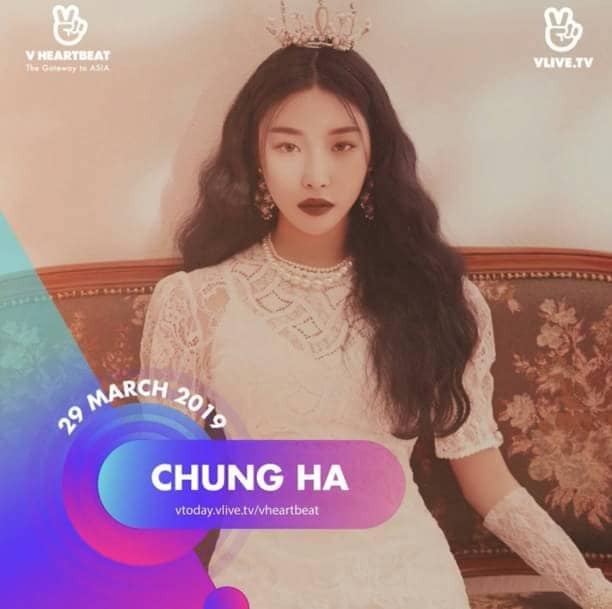 On the night of February 28, VLIVE announced a list of Korean artists participating in the night of Vietnamese music - Han V Heartbeat which will be held on March 29 at the Hoa Binh Theater, Ho Chi Minh City. 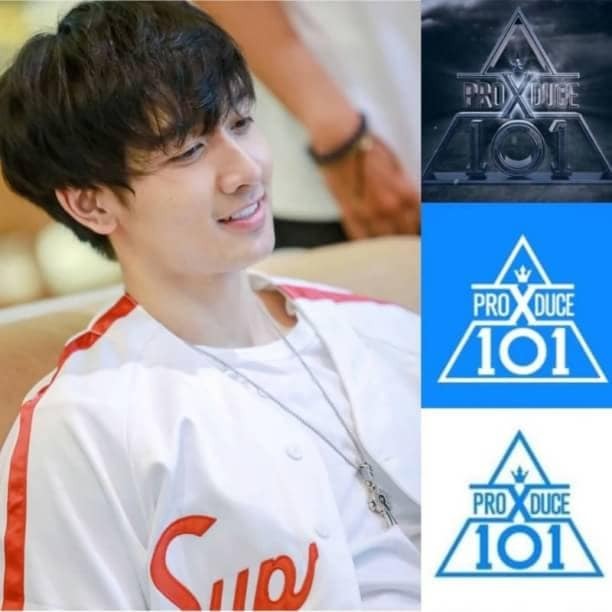 Launched in July 2018, this is an opening door concert to connect music between Vietnam - Korea, between idols and fans. The V Heartbeat music project has created a big breakthrough in the music lovers community. This is also an opportunity for Vietnamese artists to shine and a special place for kpop fans to hope to meet idols. Continuing success in 2018, VLIVE continues to try to host Vietnamese music listeners. They announced the first Korean artist to be present at the concert namely "Hallyu Prince Super Junior" and female soloist "Kim Chungha". But unfortunately, two members of Super Junior, Heechul and Siwon will be absent due to their personal schedule. 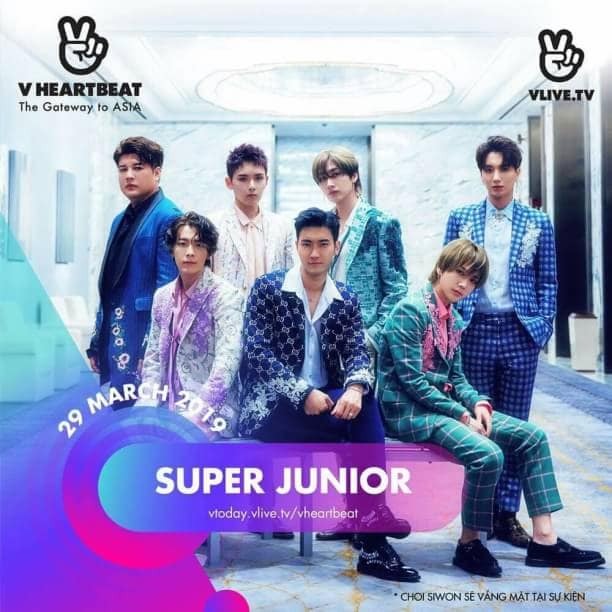 Coming to Vietnam for the third time (not a personal schedule), Super Junior promised to bring a special surprise to Vietnam E.L.F.